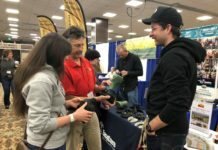 The website Barefoot for Soundness has so much great information on barefoot trimming and care. They stress natural hoof trimming and using protective horse boots to aid the hooves after the transition to barefoot. Go there to see any of the page references in each paragraph below to give a better idea of what is being discussed. 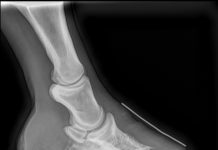 When a horse lands toe-first, or flat, over a long period of time, “navicular” pain is likely to develop. If you have been consistently applying a strong mustang roll for many months, and the toe wall will not grow down straight, this points to insulin resistance, which is seen more as horses age, or Cushings, an age-related decrease in pituitary gland function. In most domestic horses, especially those that have been shod for a long time, the horse will deliberatelly land toe-first to avoid concussion on the soft digital cushion. The heel should be left 1/8 to 1/4 inch (2 to 5 mm) longer than the sole in the seat of corn (after any chalky sole material is scraped away), to give some protection to the digital cushion while still allowing frog contact. 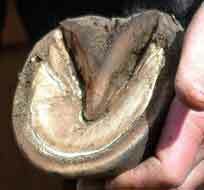 Generally the horse will let you know, by increased or decreased lameness, whether you have trimmed the heel to just the length he needs. If your horse’s front feet land toe-first, you need to find the cause and change the conditions that are preventing heel-first landing. The hoof must land heel-first consistently, to become sound. 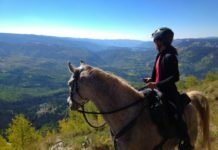 For all of these conditions, hoof boots are appropriate for trail riding until the hooves are sound and the horse is able to land heel-first consistently. EasyCare has several boot styles to accommodate the majority of hoof sizing needs. You will also find therapy boots such as the Easyboot RX and medicinal boots for soaking such as the Easyboot Soaker boot.